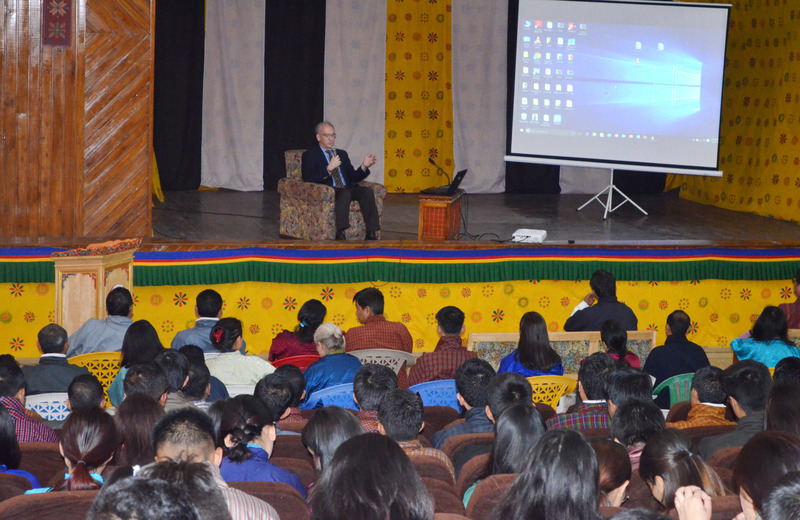 Prof. Charles G. Lief, the President of Naropa University, USA gave a talk to faculty and students in the Tuesday Morning Assembly. 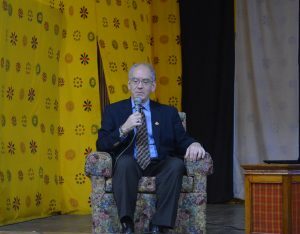 Prof. Lief shared a brief background about the Naropa University and its founder, Chogyam Trungpa Rinpoche. 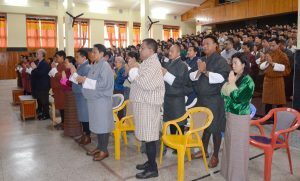 He highlighted Naropa University’s longstanding relationship to the country through the founder’s extensive time on retreat and heartfelt connection to the country, people and culture. Prof. Lief is a student of Chogyam Trungpa Rimpoche, the Founder of Naropa University. 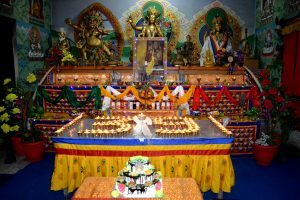 Naropa University has developed strategic partnerships to deepen its impact on its students and on the world. 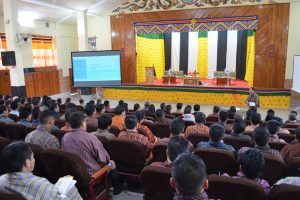 Naropa University and the Royal University of Bhutan have had a memorandum of understanding since 2010 which confirms our commitment to programmatic collaboration and academic exchange. As a result of this MOU, SCE is fortunate to collaborate with the Naropa University in the areas of Contemplative education and Counselling Psychology.